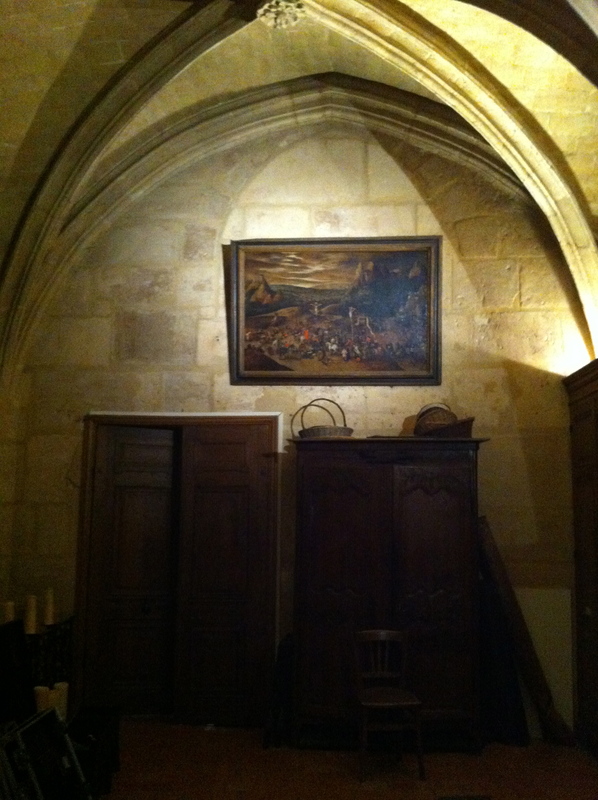 I went looking for that painting today: had to ask the sacristan. He didn’t know at first where it was, but he unlocked the little room and finally found it for me. 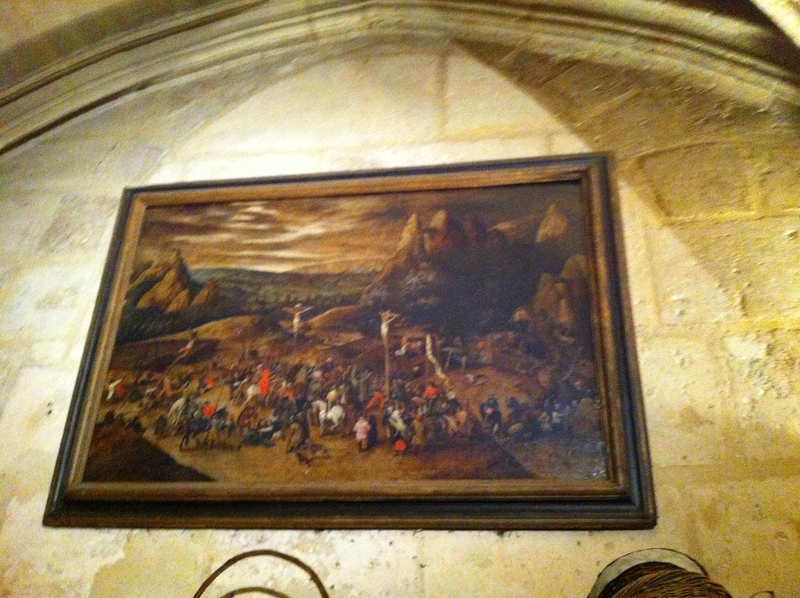 There’s another out-of-the way Bruegel at the Musee de Sens — a lovely nativity. Hi Sharon, I’m glad to learn that you found the painting. Yes, the Brueghel in the Musee de Sens is very nice too. Please keep commenting on the interesting places that you find Brueghel’s works! I share your sentiments completely. I first saw this work in the sacristy in 1998 (my parents were married in that church long before and I was a regular visitor). I made a decent photo some years ago (which I can send you). According to the sacristain at the time several scholars from Brussels were on to it but did not think it was a work by Pieter the elder because of the “absence of a magpie” . Definitely deserves to be better known (or not, security?) given that it does not seem to be listed in Ertz (2000).